Take ancient techniques of Indian painting, add a dash of cross-cultural modernity to it and you get the dulcet intonations of Olivia Fraser's Lotus Within. The Grosvenor Gallery just unveiled London-born and Delhi-based artist Olivia Fraser's solo exhibition last week. An Indian dweller since 1989, her deep interest in the techniques and vocabulary of traditional Indian miniatures, has created an alchemy of the past and the present. Mineral and plant pigments and handmade paper with forms and ideas inspired by modern Western art along with Indian miniatures form her intricate and ingenuous vocabulary. Fraser turned to traditional Indian miniature painting techniques and studied under Jaipuri and Delhi masters. 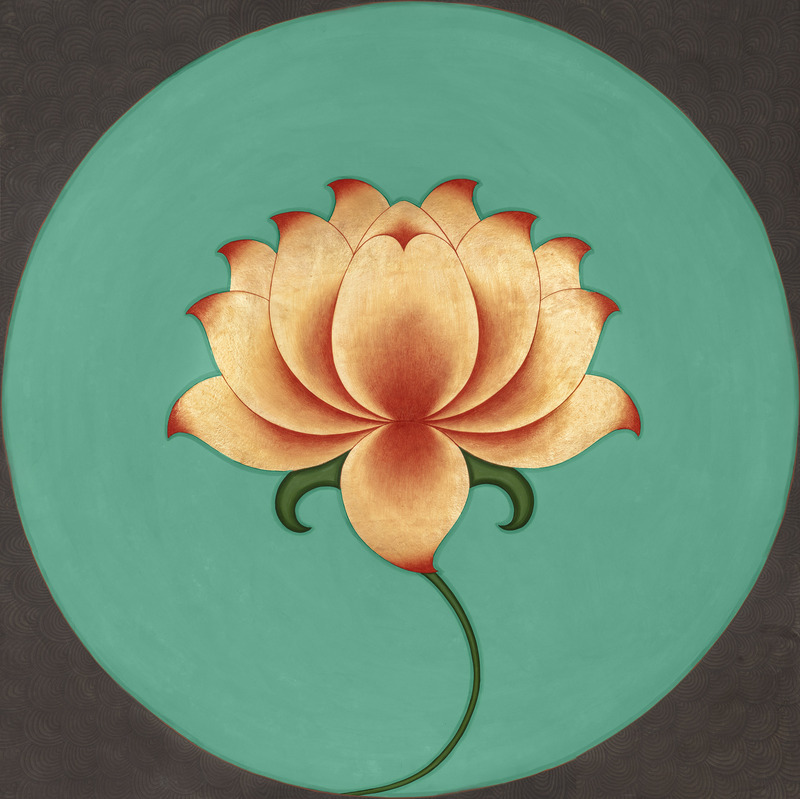 She recreates their dynamics by translating their gem-like stone colours, unique miniature brush work, and elaborately decorative and burnished surfaces to create her own insignia of lotuses that look as if they have been through more than many centuries. Having been influenced by Nathdwara pichwai, Fraser recreates an archetypal iconography strongly rooted in India's artistic and cultural heritage, breaching borders and relevant to her twin life between East and West. "I've drawn on tradition in a variety of ways all of which are linked to the symbol of the lotus as the archetypal icon of yoga used as a tool for visualization with its association with perfection, renunciation and spiritual growth. In different paintings I pull the lotus apart, deconstructing it, iterating it, expanding and contracting it, unraveling it, isolating it into icons both large and small, exploring its association with colour and with the senses and its connection to the ground and the cosmos and to Indian philosophy and poetry," elaborates Olivia. Working in the manner of Indian miniature masters, Fraser sources most of her materials from Jaipur, including traditional wasli paper made with Nepali jute and pigments hand-ground from stone, plants and earth, which she binds using Arabic gum. Her squirrel-bristle brushes that end in a singular curved hair allow for careful rendering of the most delicate spirals and lines - stone pigment, Arabic gum, and gold leaf on handmade Sanganer paper meld mellifluous petals and pensive poise. Her flowers, buds, lotuses and even elements of astronomy are deeply rooted in her interest in yoga and the ways in which yogic meditation involves visualisations of the garden, particularly the sahasrara or thousand-petaled lotus, which serves as a visual aid in reaching enlightenment. "The garden, an enclosed and cultivated area of landscape that's formalised and acted upon, is fundamental to my work," she says. Be it petals or buds or iridescent dots that moor the moon, each stroke is singular. Works like Darshan have an ecological echo - it tells us that gardens are sacred and guides us to the age old mandalas. In her catalogue she states: "In Indian art there is a tradition of assisting yoga practitioners to achieve this by providing what are in effect visual roadmaps to spiritual enlightenment. 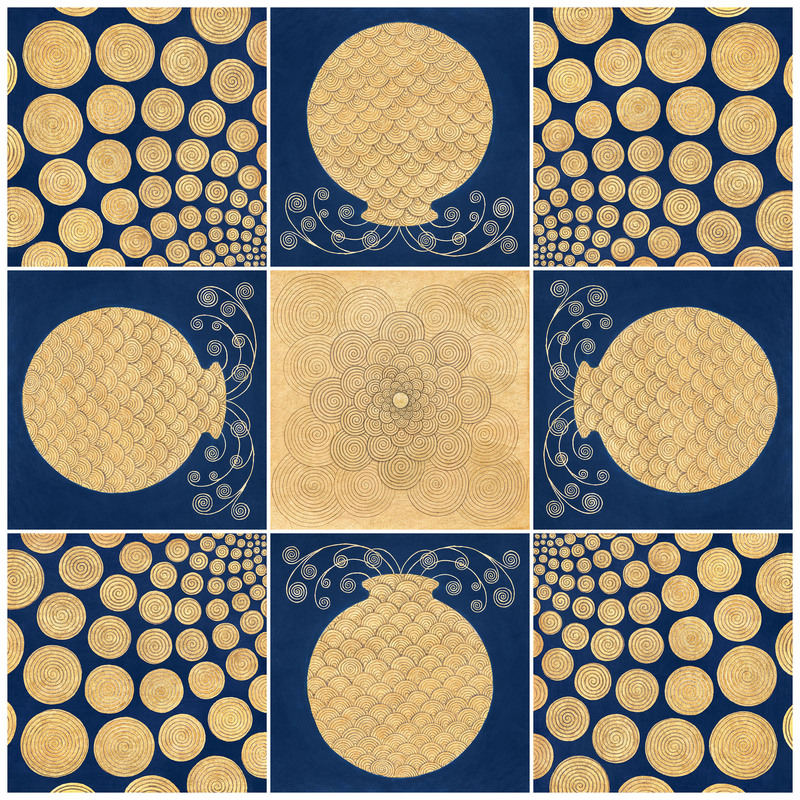 These take many different forms, ranging from mandalas and yantras, which are believed to store and generate positive energies, to maps of the Subtle Body, which represent the idea of the body as a microcosm of the universe. Inspired by this, I have painted a form of spiritual roadmap, Jambudvipa: Map for Lost Souls - and during the course of the show there is a visual, almost narrative development of the pathway towards enlightenment using the lotus within as the driving force and moving from ideas associated with gross meditation to the more profound subtle and luminous meditation and ultimately to creation." 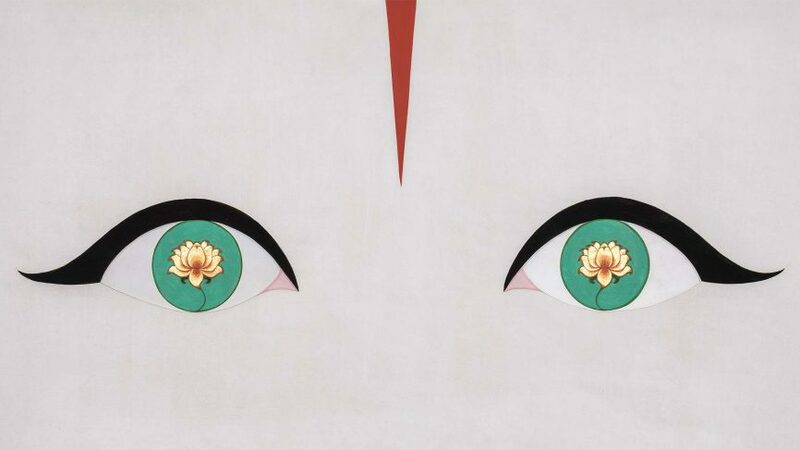 The scent of the lotus unites humanity. 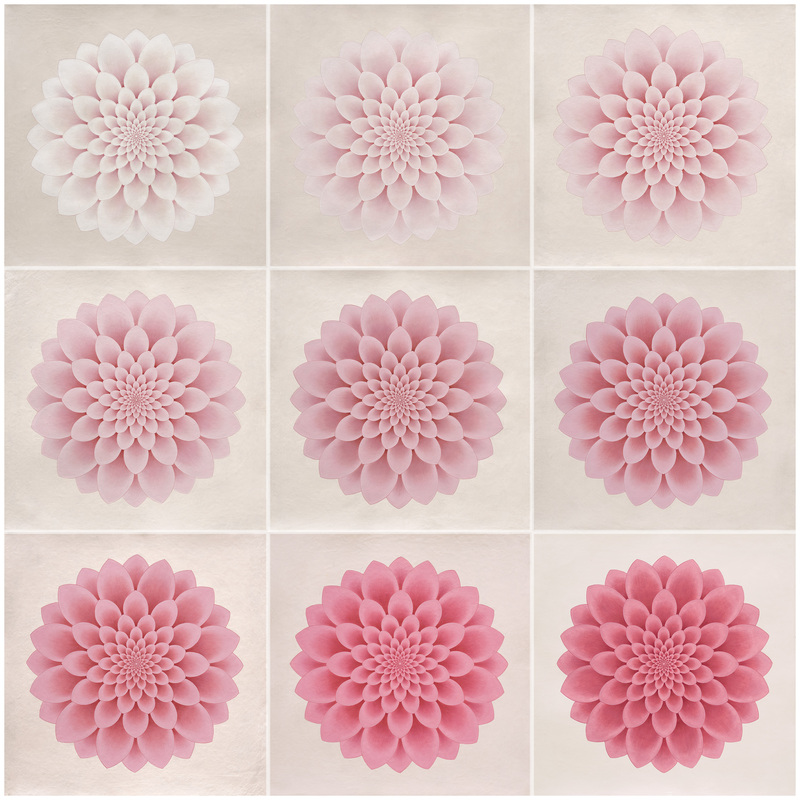 Olivia Fraser: The Lotus Within runs at the Grosvenor Gallery, London from June 6-26.